China's monetary authority will undertake the task to ensure sufficient lending and maintain adequate liquidity, supporting the economy to bottom out this year, investors expected. The country's financial de-risking campaign, focusing on closing some shadow banking financial channels, was one of the factors that cooled fixed-asset investment growth to 5.9 percent in 2018, the lowest since 1999. The weak investment also drove the headline GDP growth down to 6.4 percent in the fourth quarter from 6.5 percent in the third, according to the National Bureau of Statistics. After the unveiling of 2018 annual economic data on Monday, analysts were worried that the ongoing Chinese economic growth slowdown may weaken investment confidence and dampen financial institutions' willingness to lend money. The People's Bank of China, the central bank, "is taking measures to ease constraints on bank lending", Sun Guofeng, head of the central bank's monetary policy department, wrote for China Finance magazine on Monday. A lack of capital, which should reach a certain amount required by financial regulators to hedge risks, made some banks hesitate to issue loans. Besides, the shortage of liquidity also discouraged the lenders, said Sun. The Chinese financial authorities recently allowed commercial banks to use "perpetual bonds"－a debt financing tool with no maturity date which pays a steady stream of interest, to supplement capital. The Bank of China got the first approval of issuing perpetual bonds worth up to 40 billion yuan ($5.9 billion) last week. More banks will use this instrument and the capital replenishing process will speed up, according to Sun. To increase liquidity, the monetary authority injected 1.6 trillion yuan into the financial system through open market operations last week. That amount was the largest in nearly two years. 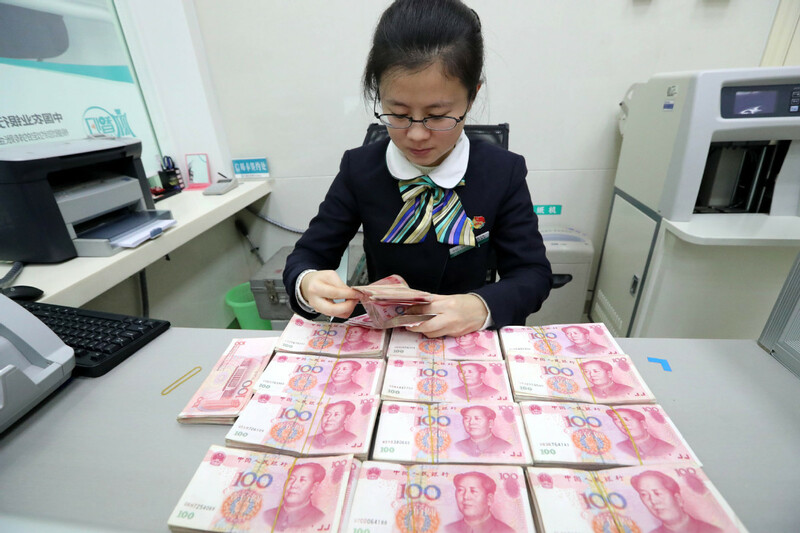 The second reduction of commercial banks' required reserves will take effect on Friday, to free up nearly 800 billion yuan together with the first cut on Jan 15. "The government has acknowledged the significant risk of a slowdown and has been rushing to roll out a number of measures in an attempt to arrest the growth slump," said Lu Ting, an economist with Nomura Securities, a Tokyo-based brokerage. "The GDP growth will eventually bottom out, and the market still has much faith in government support," he said. Goldman Sachs economists expected an acceleration of the broad total social financing growth at the start of this year, which may support domestic demand against the drags from weak exports and probably the auto market.